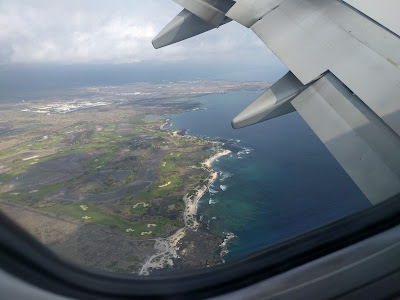 I took advantage of Aggressor's 33% off deal and booked a week long trip on the Kona itinerary. Since this was my first full length liveaboard - the Channel Islands trip was too short to count - I wanted to go somewhere convenient; which, for me, is a short, direct, non-stop flight and minimal time zone change. We had an amazing crew that week with Capt Randy, chef Kevin, Celia, Jeremy, Cam and Cliff with SwissMiss, Doc Brown and Karl putting up with me on the boat and under water. It was a very seasoned passenger list as I was the least experienced diver on board - I'm the "a Californian" in the Captain's log. And, before we even realized it, the trip was almost done. No such luck (or good luck?) 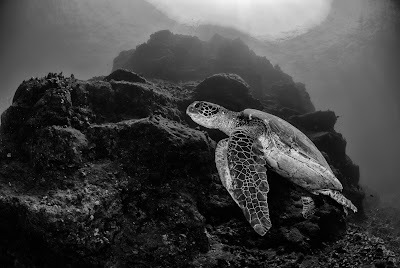 this time but we did see some turtles and a couple of spotted eagle rays cruising by us - it looked like an adult and juvenile. In addition to the warm towels greeting us at the end of the dive, there was also beer waiting for us at the swim step. My cabin buddy, SwissMiss, hit dive #700 and got caked to celebrate. More beer to wash it down. At the end of the day, the Iron Diver medals were presented with more beer to celebrate that. We had been keeping a running list of all the cool marine creatures we saw during the week and it was really cool to be able to look back at all of them and recall the dives over a few more beers. The last full day of diving and it was, by far, the best of the trip. The first dive was at the Catacombs and, appropriately enough, there were a lot of cool swim throughs, caves and grottos in the rock face. We didn't move around a lot but there was tons to see and explore. A fairly large school of Heller's barracuda kept me company on the ascent back to the boat. What is it with barracudas doing this with me?!?!?! The exact same thing happened in the Keys. 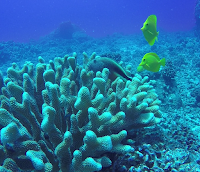 The next dive was at Thompson's Reef. This is another one where I don't really recall anything specific about this site except that I managed to finally get a photo of the usually twitchy hawkfish perched in antler coral. 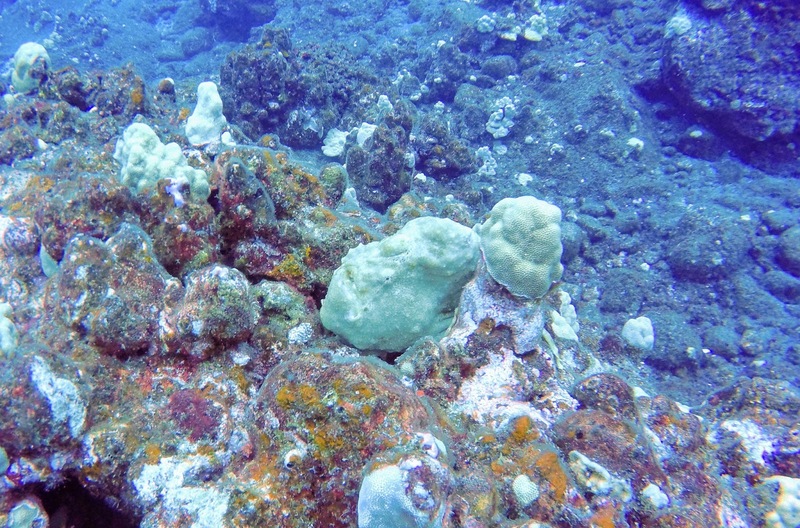 The afternoon dives were at Au Au Crater and this was, hands down, my favorite site of the trip. 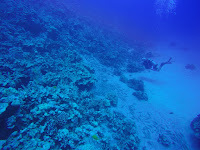 On the first dive, we swam over the shallow reef and then down into the crater. 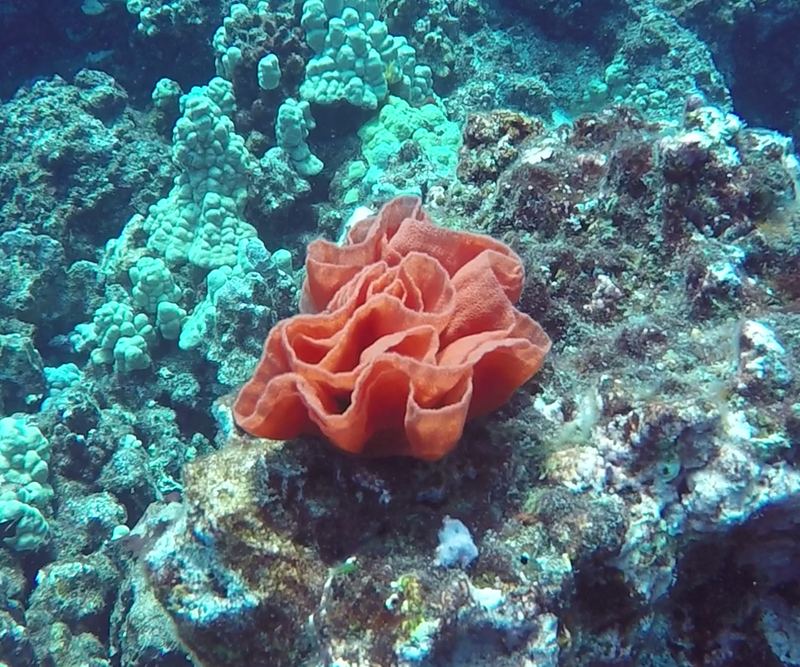 We found a gigantic Titan scorpionfish and a lot of nudibranchs. The crater itself was beautiful and the open side of it dropped pretty steeply down into the depths. On the second dive, we went along the deep end of the wall and ended up in the crater from the open end - it was really cool entering the crater this way. 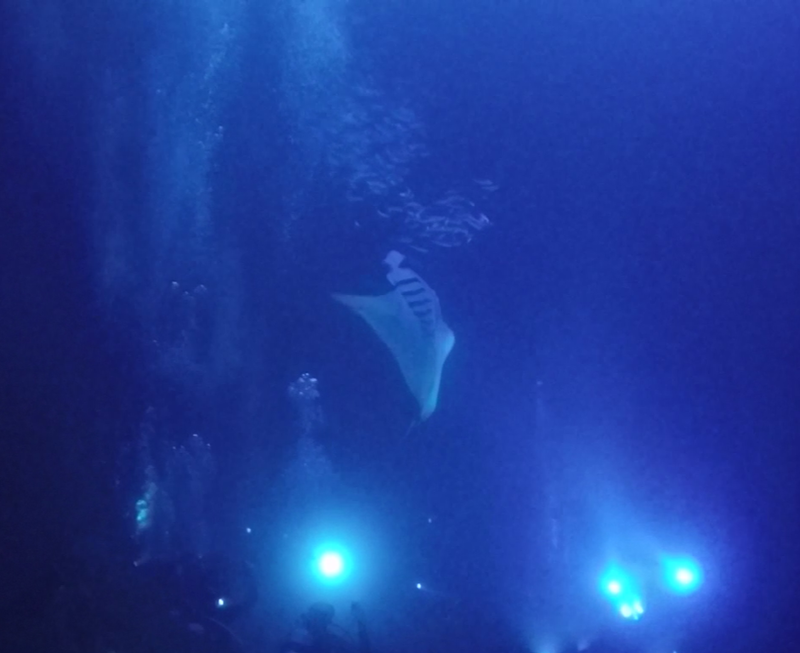 And, to top it off, we saw an eagle ray swimming circles inside the crater, right underneath us!! 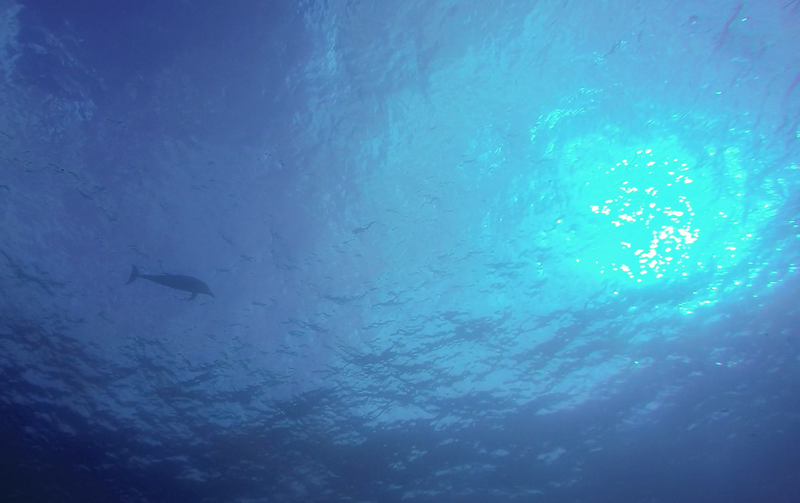 The last dive of the day was the highly anticipated Pelagic Magic dive. This is basically where the boat goes about 3-4 miles offshore and drifts while the divers hang underneath it, waiting for the nightly migration of billions of deepwater zooplankton to the surface to feed. 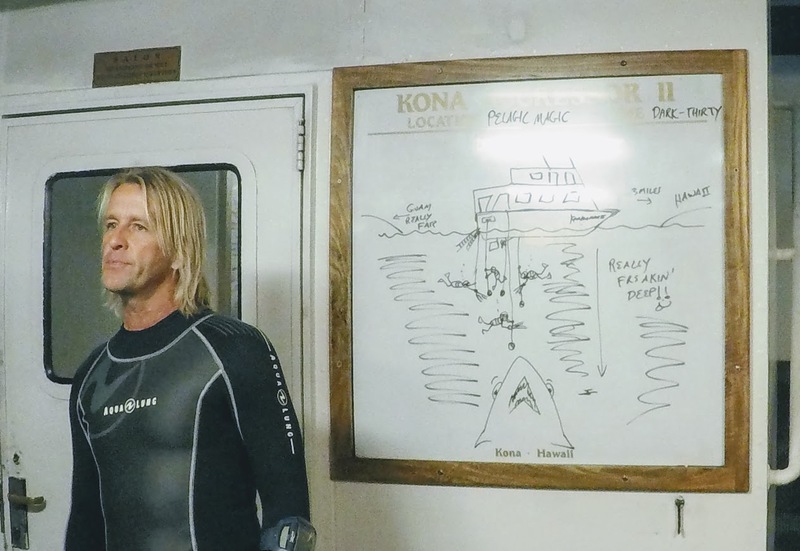 I was relatively nervous about this dive considering we would be in the pitch black, with the sea floor 3000ft below us :O The dive briefing was pretty hilarious and that definitely helped. It took me about 10min to stop freaking out and release the death grip I had on the down line, but once that was done, the dive was absolutely mind-blowing. I can't even begin to describe the different kinds of jellyfish, slaps and other organisms that showed up, blinking, glowing and pulsing in my light. There were schools of squid and milkfish swimming around as well and I got bumped by them more than once. The milkfish were following my light a lot more intently than I thought (and were larger than I thought) and I somehow managed to track one right into my face. Saying I was startled would be an understatement - the fish basically swam full speed into my mask. That was fun. Made my eyes water and nose tingle for the rest of the dive but fun nonetheless. 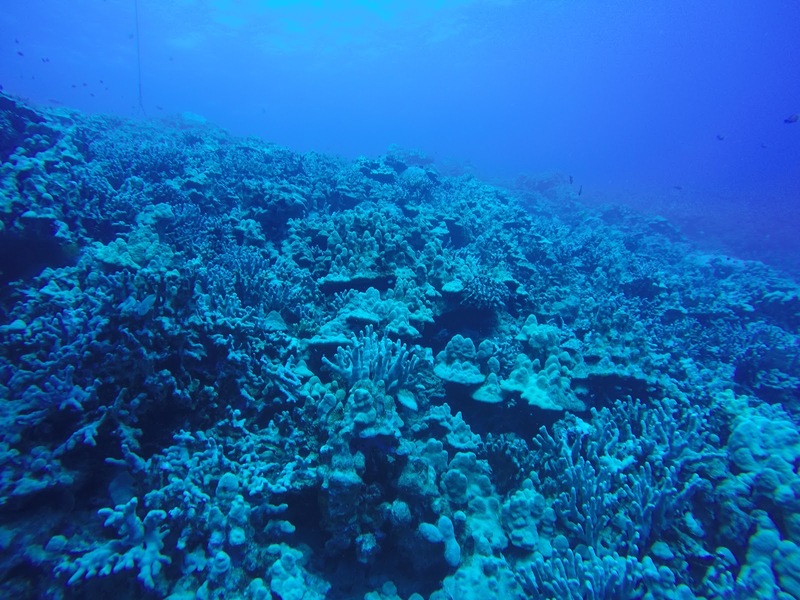 The morning dives today were unique in the sense that I found them to be more topographically interesting than anything else. That's not to say that there wasn't cool marine life around, it was just overshadowed by the dramatic underwater vistas. The dive at Lion's Den had lot of sharp edges and cliffs, none of them very deep, but dramatic nonetheless. For whatever reason, it reminded me of the scene in the Lord of the Rings at the pass of Caradhras. I should clarify that I was NOT replaying the scene verbatim in my head - 'cause, really, what kind of nerd would even remember that? The next dive was at Rob's Reef and the best/scariest part was the sea cave. This wasn't a small chamber like the sea cave at The Dome. It went into the cliff at least 30-40yd and was completely dark inside, even during the day. As I got farther in, it narrowed down considerably as well and that's basically when I gave it the big ol' nope. I've been flirting with the idea of technical cave diving for some time but the experiences in the last few days are making me rethink that idea - I'm realizing that I'm not a fan of enclosed spaces outside the light zone. The boat moved to the Hive after these dives and we spent the rest of the evening there. This was where the frogfish, endemic to Hawai'i, made their presence felt in force. We found at least five of them in a couple of different colorings. 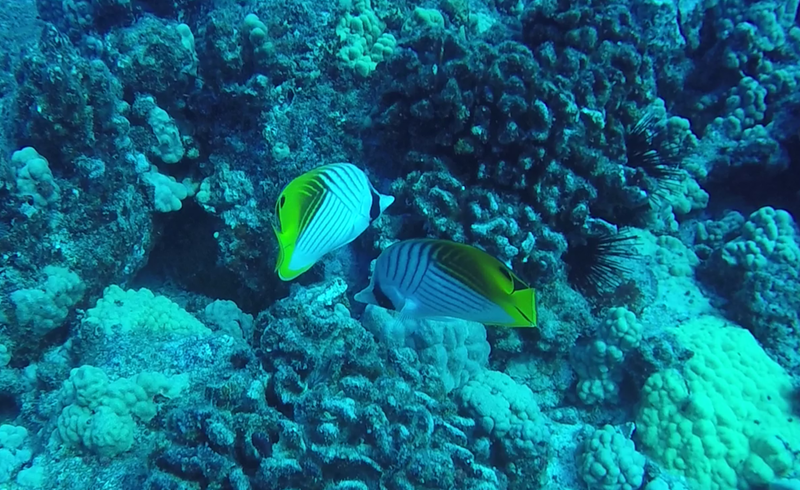 They were #1 on my list of aquatic life I wanted to see on this trip and I was not disappointed. They reminded me of something out of a kaiju films with all the weird bumps all over them, the oddly shaped fins/flippers and the lumbering way they moved around. 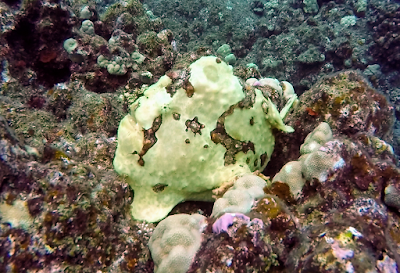 There was also a day octopus sighting with it changing colors pretty quickly as moved around us and a couple of leaf scorpionfish. 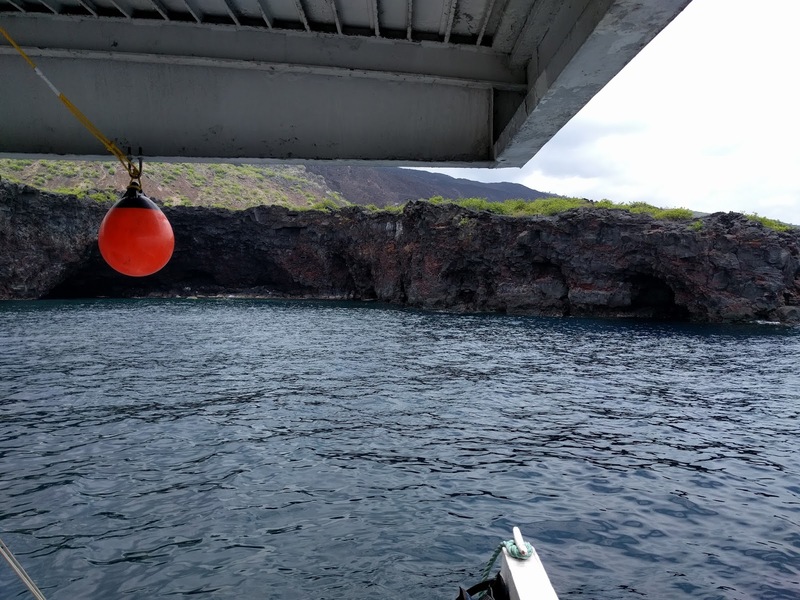 We had the closest sighting of this trip of a green turtle on the second dive as well as a lava tube swim through that was filled with dozens of banded lobsters. The night dive was also at the Hive and was one of the most varied in terms of the life we saw. 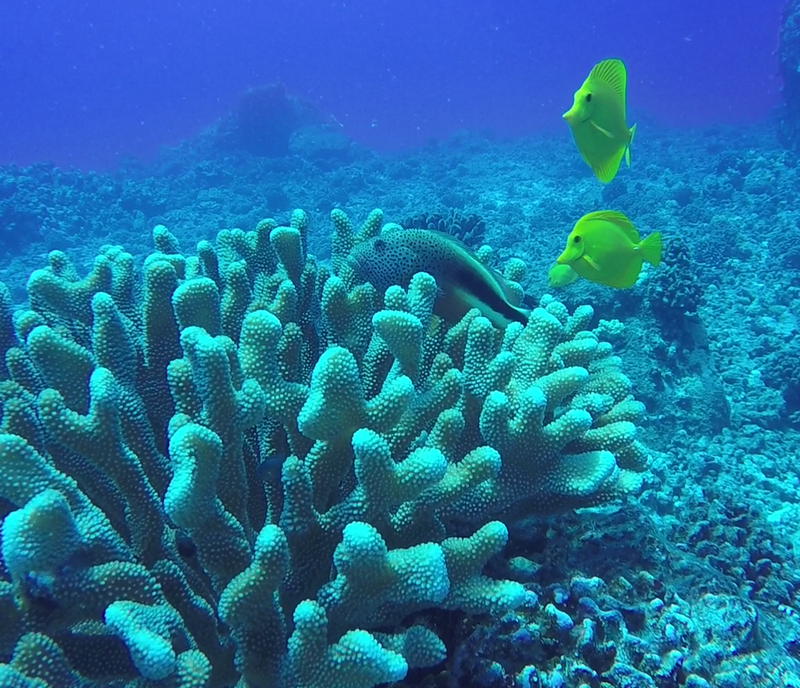 There were multiple cusk eel and octopus sightings as well as some small schools of unicornfish. There was also a unique looking 7-11 crab and a lobster that was carrying an urchin in its mouth. 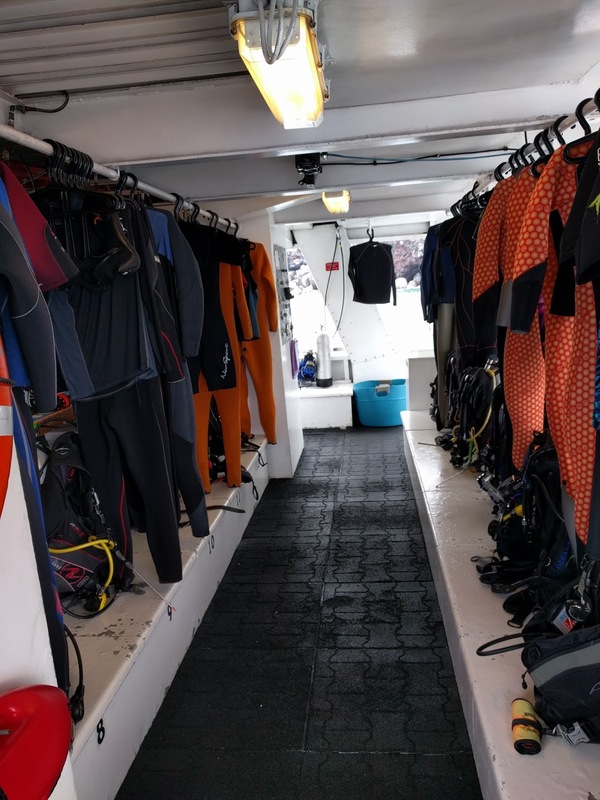 The hot showers on the dive deck were starting to make themselves more and more useful by this point. The hot towel after the rinse was also something I had become quite enamored with. It took a day but liveaboards are starting make waaay more sense to me now. 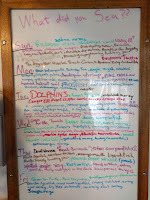 Dive and meal buddy groups were starting to form, the schedule was making more sense, the constant flow of absolutely delicious food kept energy levels up and the ability to get completely dry after every dive was absolutely amazing. 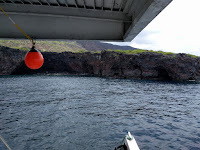 The morning dives were at the Aquarium Reef and featured the first lava tube swim throughs for the week. 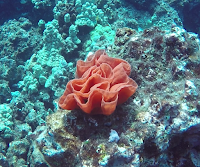 We had reports of harlequin shrimp seen at this site a week or so ago and considering how rare they are, we spent a fair bit of time with our noses in the cauliflower and antler corals looking for them. I found a lot of cool looking coral guard crabs this way and Celia did end up finding not one but two of the elusive shrimp. 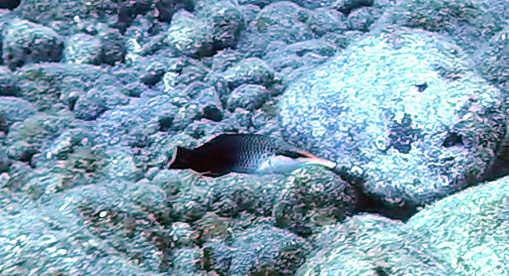 I also found two orange mouth lizardfish that were pretty well camouflaged on the reef. That afternoon we headed to the Dome. This was a large site with a bunch of caves and swim throughs and varied topography all around it, all teeming with life. 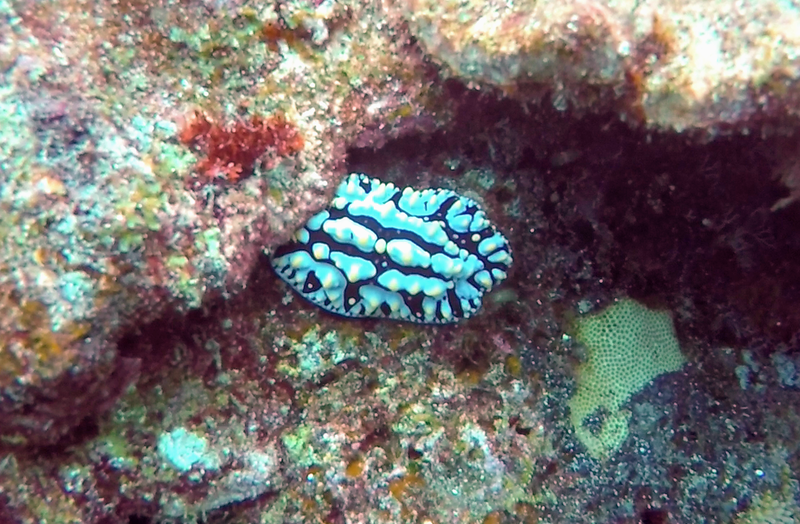 During the day dives, we saw blue dragon nudibranch, yellow coris, devilfish, tiger cowries and a horned helmet snail that was fed an urchin. 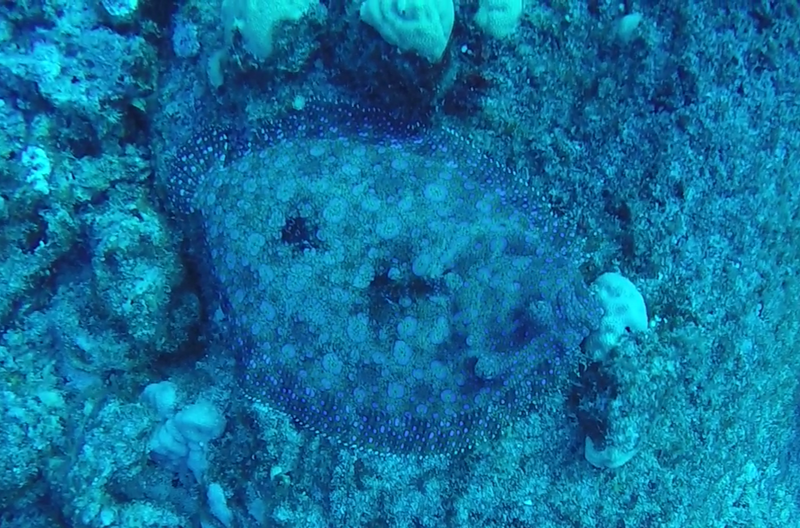 One of the coolest things I saw on these dives were the coordinated hunts being done by the eels, goatfish and trevally. 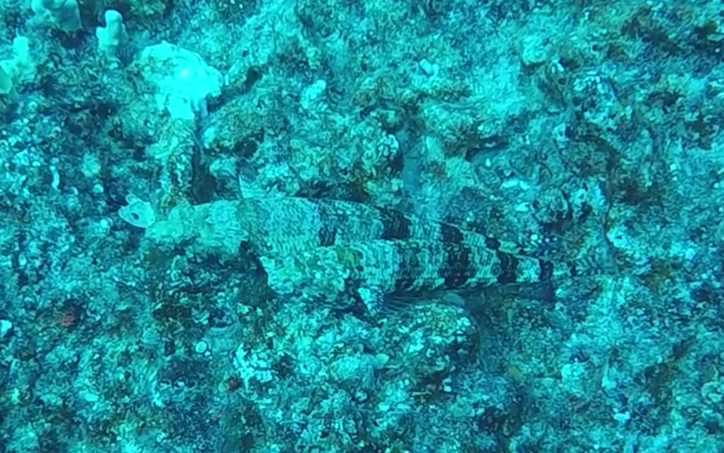 The eels stayed inside the corals, the goatfish just outside and the trevally a little off of it and between them, they corralled the smaller fish into each others' target areas. It was pretty amazing to watch how much in sync they were. The night dive was also at the Dome and was a slightly eery experience for me. The sea cave we had swam in earlier today felt more like a true cave due to the almost complete darkness. 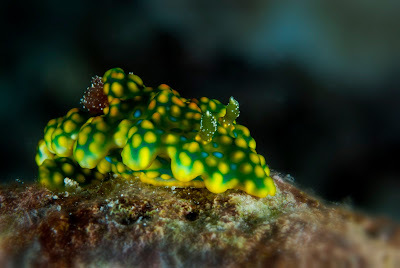 The tiger cowries, Spanish dancers, pimpled baskets and white margin nudibranchs inside the caves were very cool and there were also a bunch of slipper lobsters and giant porcupinefish about. First day of the trip and it was a day of trying to get used to the rhythms of the boat. I didn't sleep very well but was looking forward to getting in the water. We had set up all of our gear the previous evening and we were able to splash in pretty much immediately after breakfast. One of the things I appreciated the most during the trip was the one time setup and then not having to do anything to my rig for the entire week. 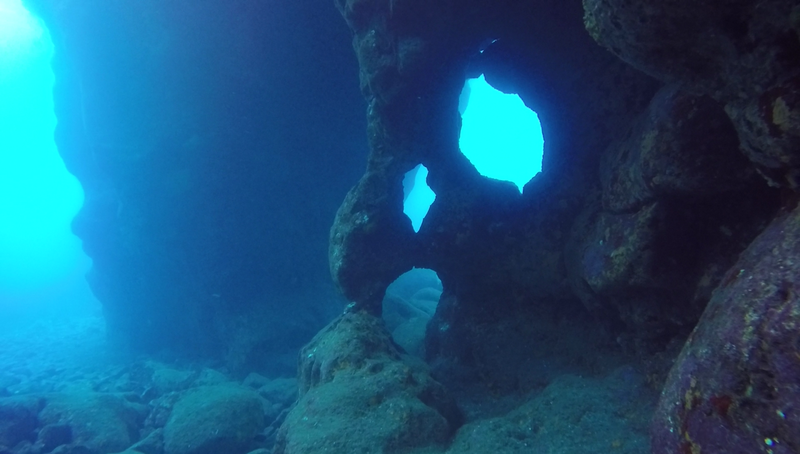 Our first dives were at the Kaloko Arches and I was really pleased with how well my weighting worked out. The warm water and practically endless visibility was great and we saw a lot of fried egg and speckled nudibranchs, spotted eels, bird wrasses, a beautiful zebra moray and a couple of milletseeds which were known to live on this reef. 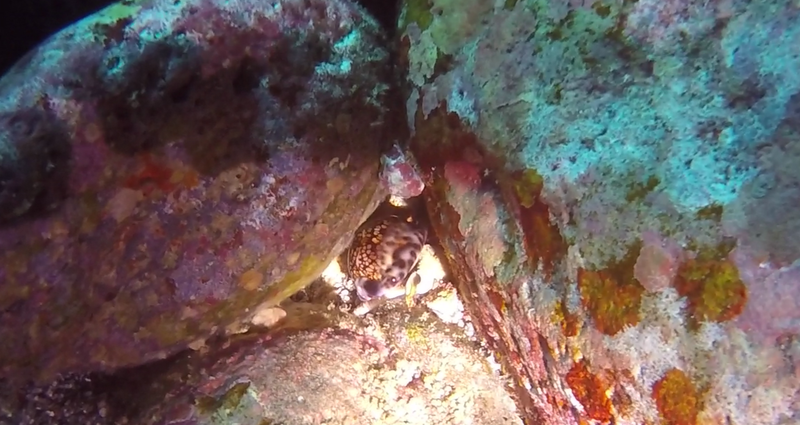 The afternoon dives were at Garden Eel Cove and the plan was to stay there for the night dive with the mantas. 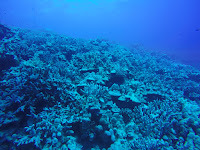 This was a semi circular rubbly site with a lot of healthy reef sloping down to the sand at 80ft. 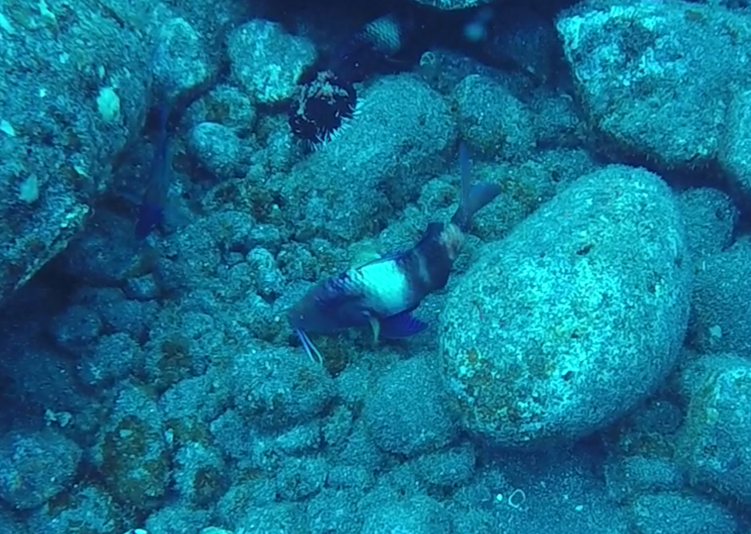 There were sidespot and manybar goatfish actively foraging for food and a black stripe coris hovering around them. The highlight of this dive was the two dolphins we saw - one of them was rolling around in the sand and the other looked like it was tossing around and playing with a sea cucumber. It was super fun to watch them do their thing; they looked like they were having fun too and we hung out and watched them for quite some time until another dive group charged towards them and scared them off. 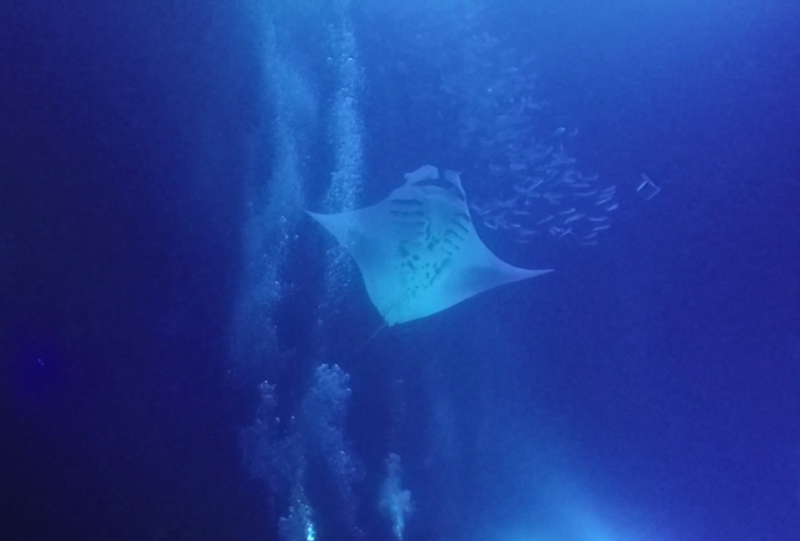 The last dive of the day was the manta mayhem / madness / magic dive. Honestly, I was a little disappointed with this dive overall. 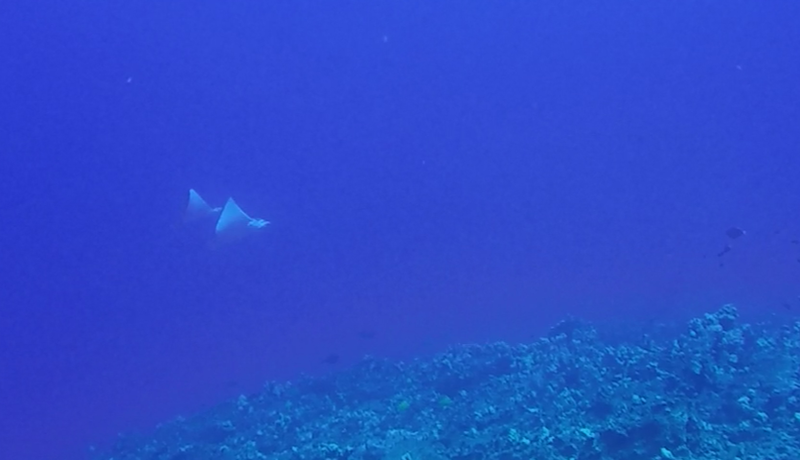 We had a couple of mantas show up in the beginning of the dive but nothing after the first 15min. That was fine in itself but what made the dive meh for me was the sheer number of people in the water - there were at least a 100 divers with lights on top of the snorkelers. It ruined whatever effect this dive is known for. 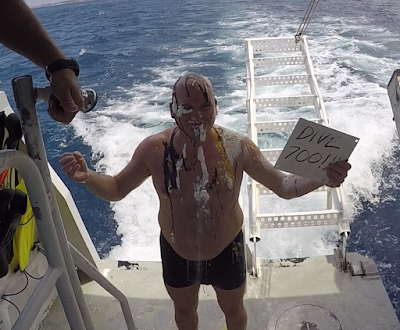 The end of the first day's diving brought some lessons for me. Mainly, that having my DSMB and reel on my hip D-ring was a terrible idea as the spool completely unraveled on one of my entries. I might have to go back to using the pocket shorts with wetsuits. Also, donning a wet diveskin is super uncomfortable, especially in the wind tunnel that was the gear area. One lady had brought five skins with her and was cycling through them during the day - this is a splendid idea and something I'm going to do for future liveaboards. The diving on day one was great but I was more tired than I thought, mainly because I just couldn't get settled in to the boat schedule. I'm pretty confident this is going to improve by the next day or two. After the almost-Fundies class earlier this year, I was itching to actually finish it so I could sign up for the fabled BAUE boat trips and also move forward with more training in the GUE ladder. As usual, there were some shenanigans with scheduling and buddy availability - one of the potential classmates ended up in Africa - until Beto decided I had waited long enough and we decided to move forward with just me. The plan was to do the class solo for the skills dives and find someone from BAUE to join us for the scenario dives. I'm too lazy to write up a super detailed class report but after 4 hours in the pool and another 4 at Point Lobos, I had my recreational pass. sea_otter joined us for the last day of scenario and experience dives and covered some skills she had skipped during her class. I had improved some since my last time with Beto but still had a fair bit to work on. Back kick was actually functional - long, slow and with a follow-through was the way to go. Helicopter kick worked going left but not right - still haven't figured this one out. Ankles stay flexed during entire flutter kick cycle - this was way easier and far more effective than what I was doing before. Ascents are still not great - I just don't have the confidence yet to move up at a the right rate. I think I'm moving up too quick when I'm actually barely getting started. The video review showed I was dumping my wing after ascending only a couple of feet. I spoke to sea_otter about this and she felt the same way before the Rec3 class. Hmmm, seems like I'll be adding that to my list. Scooby, one of the super friendly cove residents, kept us company on both days at Point Lobos. He seemed to enjoy coming up to us right when we were doing S-drills and had the longhose deployed. Also, Beto finally got me to La Tortuga after the class. I can't believe it took me this long to go there - I guess I'm far too attached to Hula's. 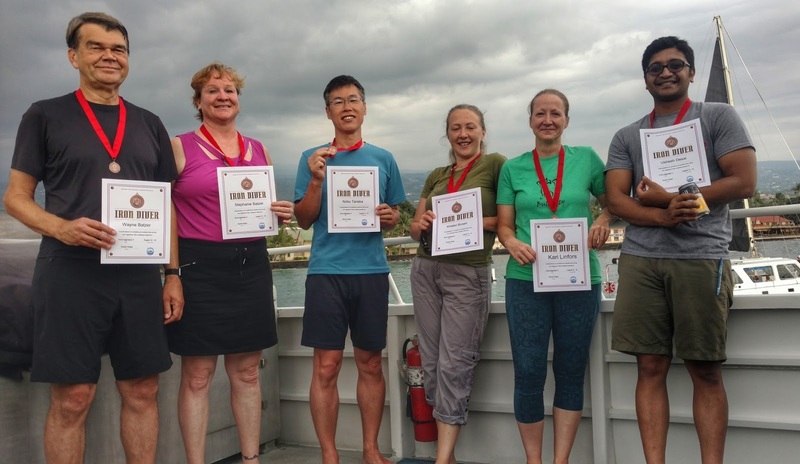 I'm glad to be done - I certainly took the scenic route to complete Fundamentals considering how long ago I had started and how much diving and follow-up training I had done since then.